Here are some pictures from my home town. National Institute of Hydrology (Ministry of Water Resources, Government of India) - Headquarters at "Jal - Vigyaan Bhawan", Roorkee, Uttarakhand (Six Regional Centres of NIH are located at: Jammu, Sagar, Patna, Guwahati, Kakinada and Belgaum) (website: http://www.nih.ernet.in). 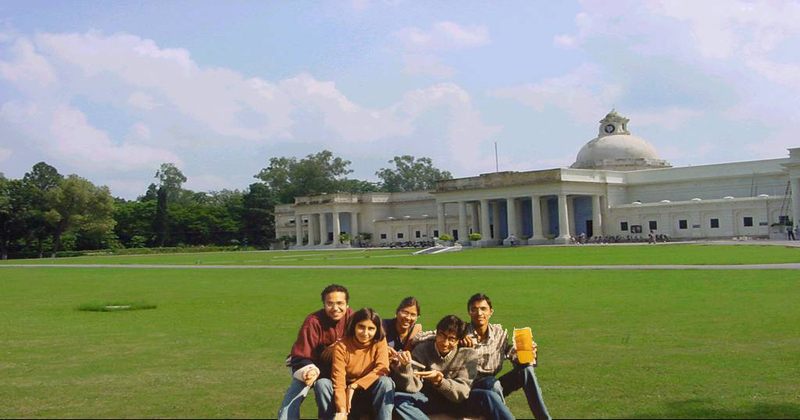 Students at Main Building (Administrative Building) Lawns, Indian Institute of Technology, Roorkee, Uttarakhand [Established by James Thomason and Proby Cautley: As Roorkee College - 1846..the first civil engg. college in British Empire...later upgraded to Thomason College of Civil Engg.....Thomason College of Engg. 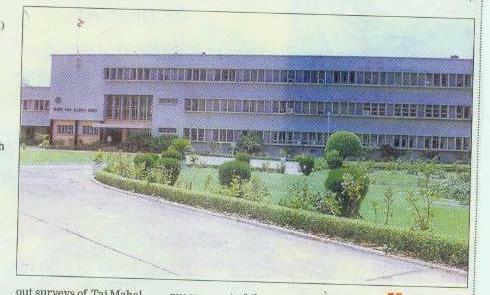 & Technology...Roorkee Engg. College...University of Roorkee...and finally the youngest (7th) IIT of the nation]...Before being treated as IITians the students of this institutions have been treated as Thomsonians (They are the real Thomsonians in real spirit even today!!) (websites: http://www.iitr.ac.in and http://www.iitr.ernet.in). Central Building Research Institute: CBRI is a premier R & D establishment, under Council of Scientific & Industrial Research (CSIR), Ministry of Science & Technology, Government of India. CBRI headquarters is located in Roorkee. CBRI is engaged in research and development related to building research and allied streams. CBRI premises also houses the regional centre of Central Mining Research Institute (CMRI - Another constitutent establishment of CSIR with headquarters in Dhanbad, Jharkhand) (website: http://www.cbri.org.in). 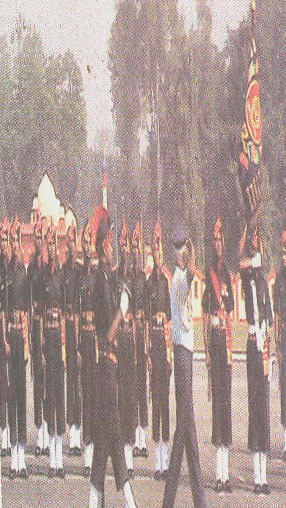 The Active Bengal Sappers - Photograph during a Parade Ceremony - Bengal Engineering Group and Centre (BEG & C), Headquarters, Roorkee Cantt., Uttarakhand.